Over the past two decades, research on the great political famines of the twentieth century has made significant progress. 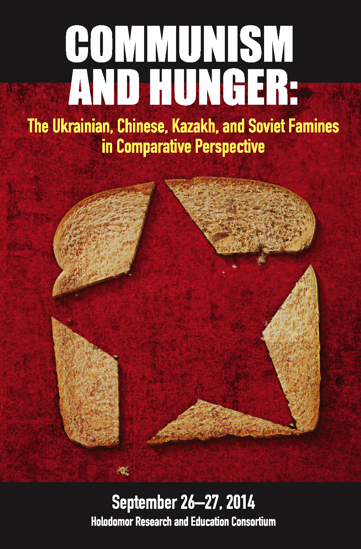 Thanks to increased access to formerly closed archives and the collective efforts of the international scholarly community, we now have a more or less accurate picture of the causes, dynamics, demographic impact and consequences of the pan-Soviet famine of 1931–1933, the Ukrainian Holodomor, the Kazakh great hunger and the terrible famine in China produced by the Great Leap Forward in 1959–1961. While there have been some attempts at comparing these events, a systematic undertaking that could reveal both affinities and differences, and thus produce a deeper understanding of these phenomena, has yet to be attempted. This comparative approach is warranted by the fact that all of these famines were the direct by-product of major “leaps forward” unleashed by Communist parties endowed with centralized planning mechanisms whose targets and priorities they believed could be controlled and freely manipulated. As well, in both the Soviet and the Chinese cases, these parties were led by powerful, quasi-despotic figures prepared to use any means and to profit from any circumstance to preserve power, often presenting themselves as the sole guarantor for the accomplishment of higher missions. Whatever the economic motivations, these famines were also political events that require political analyses of their causes and courses. There were also major differences, however: semi-colonial mechanisms and the national question played a much more important role in the USSR than in China; the Chinese party was able to oppose its leader’s choices much more effectively than its Soviet counterpart; the geographical specificities of the famines seem to have had quite different causes; and while the Soviet famines allowed Stalin’s policies to triumph, the Chinese famine ended in a major defeat for Mao. Also, the aftermaths were substantially different, as demonstrated by an even superficial comparison between the Soviet show trials and the Great Proletarian Revolution. The conference will bring together some of the best specialists of the Soviet, Ukrainian, Kazakh and Chinese famines, who, on the basis of their research and knowledge of the rapidly increasing specialized literature, will assess the common features and most significant differences of these famines and place their findings within the dynamics of the histories of the respective countries. Lucien Bianco is an eminent French historian and Sinologist specializing in the history of the Chinese peasantry in the 20th century. Sarah Cameron is assistant professor of Soviet history at the University of Maryland-College Park. She earned her PhD in history at Yale University. Andrea Graziosi is a professor (on leave) at the Università di Napoli Federico II, an associate of the Centre d’études des mondes russe, caucasien et centre-européen (Paris) and a fellow of Harvard’s Ukrainian Research Institute and Davis Center for Russian and Eurasian Studies. Niccolò Pianciola is Associate Professor of History, Lingnan University, Hong Kong. His research focused on the history of colonization and decolonization during the late Tsarist Empire and the early Soviet Union, and on the great famine in Kazakhstan. Ralph A. Thaxton, Jr. is Professor of Politics at Brandeis University. He specializes in comparative politics, including agrarian insurgencies and state-inflicted disasters in agrarian societies. Nicolas Werth is Research Director at the CNRS’s Institut d’Histoire du Temps Présent (Paris). Since his first book (Être communiste en URSS sous Staline, 1981), he has written numerous works on Soviet social history, Stalinism and mass violence. Xun Zhou is Lecturer of Modern History at University of Essex and the author of The Great Famine in China, 1958-1962: a Documentary History (2012). Olga Andriewsky is an Associate Professor in the Department of History, Trent University (Canada). The main focus of her research is 19th-early 20th c. history of Ukraine and the Russian Empire. Kimberley Manning is Associate Professor of Political Science at Concordia University.Co-editor of Eating Bitterness: New Perspectives on China’s Great Leap Forward and Famine (2011), she has published articles in Modern China, the China Quarterly, and The China Review.